Data backup is an essential component of an organization?s risk management protocol and business continuity strategy. In the event of natural disaster, breach, or server malfunction, data can be wiped out in instant, rendering all that you store electronically?including work product, documents, reports, customer records, and personnel files?irretrievable. Therefore, even if your organization and its network are relatively small, it?s critical that you take the proper steps to regularly backup your data stores. Managed backup serves as a sort of insurance policy for your business, ensuring that your organization can quickly get back up and running in the aftermath of a disaster. There are two types of managed backup storage your organization should consider including as part of a comprehensive risk mitigation program: onsite backup storage and offsite backup storage. Each has its own set of pros and cons, so it?s important to weigh each option carefully in order to determine the best managed backup strategy for your business. 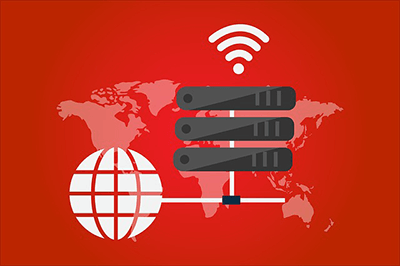 Onsite backup storage refers to storage media and devices that are located within the same physical office location as the network file server. Common types of onsite backup storage include DVDs, CDs, hard drives, and magnetic tapes. The primary advantage to this type of managed backup storage is that, in the event of a disaster, file restore times are typically much faster, since the data is stored on the local network. Onsite storage is generally less expensive, and both backing up and retrieving data do not require Internet access. However, if the disaster affects the entire physical location, onsite storage can be destroyed or compromised in much the same way as the original data. Catastrophic events like flooding or fire would like damage your storage devices along with your computers. And, were there to be a hardware failure or theft, onsite backup storage would likely be affected as well. When data is backed up in a completely separate physical location it is called offsite backup storage. Data is typically stored in data centers (which house massive servers that are designed to simply house data in a secure manner) or on servers hosted by third parties, such as IT support companies. Unlike onsite storage, which your organization would own entirely, data centers and third-party servers may host data from many different companies at once. There are several reasons organizations opt for offsite managed backup storage. First, because the data is in a different location, it is protected from disasters or thefts that affect that physical office location. Second, the data stored on off-site servers is usually backed up as well (this is called redundancy) offering an additional layer of protection in the event of primary server malfunction. Also, the data housed on these servers can be configured so that the data can be accessed from any authorized location via the Internet, which also means it can be shared by several remote locations. Despite the many advantages to offsite storage, there is a downside. The primary issue is that, in the event of a major disaster, it can take considerably longer to recover your entire data set and restore it to their original location. If you?re still not convinced that you need a comprehensive managed backup strategy, consider this: your data is the most valuable component of any computer you own. You wouldn?t dream of leaving your office unlocked, potentially allowing thieves to walk off with all your valuables, so why leave your data similarly vulnerable? In backing up your data, you effectively safeguard one of your organization?s most critical assets. Because of its limitations, onsite backup storage is often backed up again by offsite servers, but your unique situation will dictate the specifics that comprise your strategy. Need help determining the appropriate managed backup and recovery plan for your organization? The ICS Disaster Recovery team can assist you with the process of creating an effective strategy that?s based on your specific needs and requirements.